THIS PAGE IS OUTDATED – This article is in parts, or in its entirety, outdated. We would like to share some background information about our recent product introduction and provide clarity to our community. Our vision that every building should be heated and cooled intelligently is what drives us every day to become better at what we do and to do it with our customers close to the heart. The new V3+ Thermostats come with a new app and include new Skills such as Air Comfort. We built a customisable app as a result of customer surveys and hundreds of one-on-one interviews conducted with existing and potential users. From the feedback that we received, we learned that everyone uses tado° differently and that not all features are used by everyone. Hence we created flexibility for new customers by adding certain in-app services which can be booked optionally – such as Auto-Assist, boiler maintenance and repair jobs or installation services. Ongoing revenues from value-added services after the initial product purchase enable our company to keep developing and maintaining apps & software, to pay fees for server infrastructure, weather data, air quality data, etc. Of course we will uphold what we promised when you purchased our products. We will keep maintaining and improving the V3 app (that comes with V1, V2 & V3 Starter Kits) for the lifetime of the thermostats that you purchased or rented. This includes performance and security updates, the introduction of selected additional features (for example detailed boiler reporting) and bug fixes. 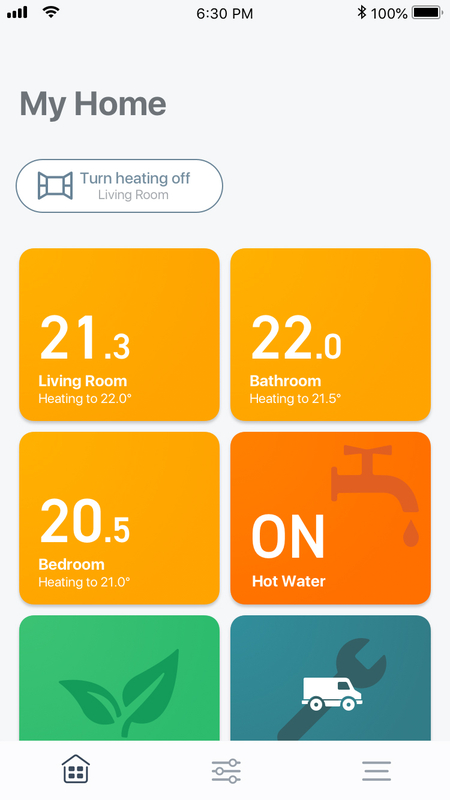 Through the main menu, you have access to your tado°-connected rooms, hot water control, settings and more. The main screen displays the current heating settings in each room and lets you manually control the temperature. tado° detects when the last person has left home and automatically switches to Away Mode. 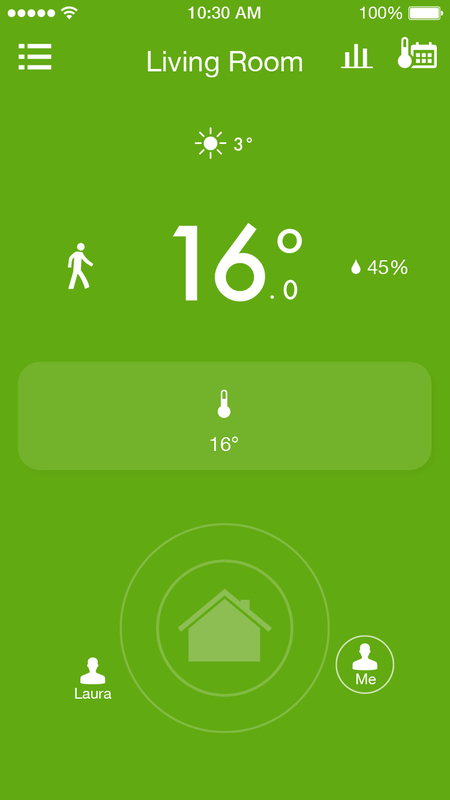 tado° will turn off the heating, when an open window has been detected. If you like to upgrade to the new app with its new user interface and Air Comfort, you can upgrade via a button in the main menu (coming later this fall). The app upgrade will be available for €/£19.99 and includes the Auto-Assist Skill for one year free of charge. After one year you can decide whether you want to keep Auto-Assist for €/£24.99 / year or cancel your subscription. In both cases you will continue to use the new app. If you cancel Auto-Assist, Geofencing, Open Window Detection and Weather Adaptation will no longer be fully automated but available via push notifications. The V3+ app has been specifically developed for the V3+ hardware products. However, you can purchase the new app as an upgrade if you already own a V1, V2 or V3 tado° product. The price is a one-time fee of €/£19.99 which includes usage of the V3+ app and one year of the Auto-Assist Skill (normal price €/£24.99/year). After the first year, the new app can be used without any additional cost by cancelling the Auto-Assist subscription. 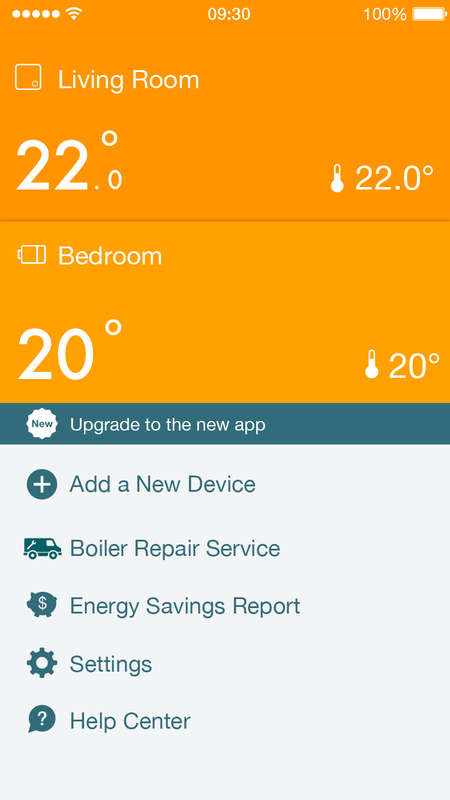 The upgrade function will be available this autumn inside the existing tado° app. The newly-designed Home Screen provides easy access to your most important features and information. You can check and change the heating settings for a certain room via the new room screen. When tado° detects that the last person has left home, you will receive a push notification. A button on the Home Screen will appear that allows you to switch to Away Mode. When an open window has been detected, you will receive a push notification that informs you about the open window. You can turn the heating temporary off via a button on the top of the Home Screen. If you enable Auto-Assist, Geofencing, Open Window Detection and Weather Adaptation will be completely automated. You will not receive push notifications anymore. Auto-Assist can be booked within the app for €2.99 a month or €24.99 a year. This Skill helps you to achieve a healthier indoor climate. It provides insights into the air quality and suggests ways in which you can improve the climate in your home and avoid health risks. Please note that there will always be only one app in the Apple and Google app stores. Depending on the Starter Kit version, the V3 or the V3+ app will be shown after installation of the products. Regular app store updates will not lead to an upgrade to the V3+ app. Overall this gives you the flexibility to decide which option works best for you and to enjoy the best way to make your home more comfortable and efficient. Hi, in general I think it is a good idea to give customers this information. Thanks. Still think that asking loyal customers to pay to upgrade is a bad idea. I have had Tado for almost 2 years and think a free upgrade and one year of the new skills is the least I deserve. How long after the new v3+ kit arrived before development on the old V3 kit stops. When is the poor battery life issue going to be fixed on V3 you advertise 2 years and I am lucky if I get 6 months. I for one will no longer be advising people to use Tado. Hi James, first of all thank you for your feedback. We will keep maintaining and improving the V3 app for the lifetime of the thermostats that you purchased or rented. Over the course of the next few months, we will automatically update your devices with newer firmware versions that will include further optimizations to incrementally increase battery life. Please make also sure you use the correct battery type when replacing the batteries: https://support.tado.com/hc/en-gb/articles/207810043. So if I opt for the £19.99 upgrade and then after a year do not continue my subscription, I will keep the v3+ app but lose the skills. Things such as Geofencing will become a manual task. If I don’t upgrade I keep the automated skills forever. Am I missing something, there does not seem much of an incentive to trial the new app. Hi Ian, yes. 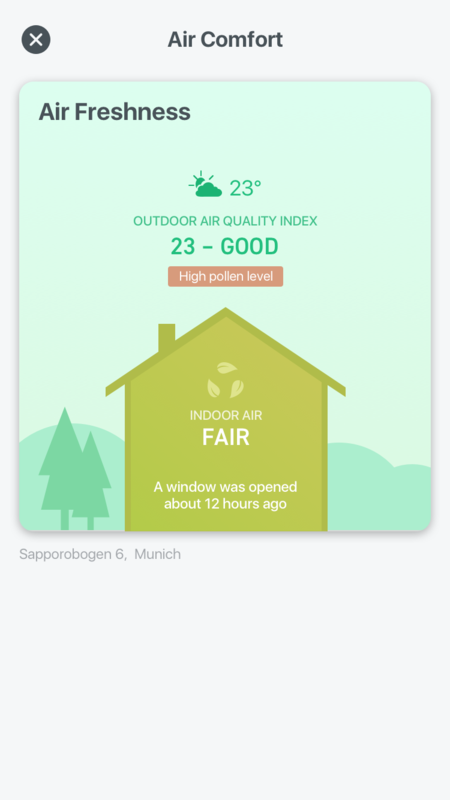 With the new App and Air comfort tado° helps you achieve a healthier indoor climate, with insights and specific advice, e.g. when, and for how long, to open the windows, or if a room has a risk of developing mold. Also soon will be Boiler Health Monitoring included. Here tado° keeps track of the status of your boiler, notifies you when there is a problem, gives you suggestions on how to resolve it, and provides a qualified engineer if needed. This is incredibly unclear. What is the difference between the new apps apart from different UX? It sounds like you have taken existing features such as geofencing and made them annual paid for options? Given this is the main feature you claim as differentiation from your competition this sounds like a horrendous idea. I’m a v1 user considering upgrade given there are some useful upgrades (eg bus interface) but will look at the competition eg Nest if I will have to pay more for the same functionality post upgrade. Does everyone in our household need to pay the 19€ for upgrading the app. Or is it enough if one phone upgrades for the household? When do we get a fix for the aweful battery life?! Yes! What about the battery life issue! Hi Konrad, over the course of the next few months, we will automatically update your devices with newer firmware versions that will include further optimizations to incrementally increase battery life. You have been stating that the battery problem is being worked on for the last 2 years. I have Honeywell thermostats as well and these last at least 2 tears whereas the Tado need to be replaced once every 6 months! Hi Christoph, only one person in a household has to update to the new app. Our developers are aware of the battery life issue and are working on it. So I can keep the existing app and the automation ‘skills’ – geofencing etc. Or, I can upgrade and get a new UX experience and the additional pleasure of paying 25 a year for the same feature set as the old app. It doesn’t stack up. Even the price point, 20 for the upgrade and the 25 yearly, eats into the savings you’re claiming the product brings on energy consumption bills by a significant percentage particularly in new build, efficient homes. Tado is an amazing eco system of products. I realise you need additional revenue streams but ham-stringing the out of the box benefits of the system seems misguided. Surely, leveraging the data you have and monetising that in some way is a better avenue to go. As a customer highly invested in the Tado system, I concur! Monetising the data rather than penalising customers sounds eminently sensible. I posted this on Facebook but I’ll pop it here too as you are asking for feedback. Here are some serious and reasonable suggestions for Tado to keep existing customers happy whilst securing an ongoing revenue stream. I don’t know all the ins and outs of your tech and billing obviously, but I do work in a tech/product role so I can understand what you are up against. I think having two apps (within one) is overly complicated – both for your customers to understand and also for your tech staff to maintain and support. a) Have a single app (the new one), that everyone gets. That way you only have one set of code to maintain, and one product for your helpdesk to support if your customers have issues. b) By all means make Auto-Assist a paid for bolt-on, but just give existing users (V3 and before) a lifetime subscription to this bolt-on for free. We have already paid for its features when we bought our hardware, and you have committed to provide that service. c) If you add additional features later on (like the boiler health stuff etc.) then these too can be separate bolt-ons that both new and existing users can elect to take if they like (paying a modest ongoing amount of course). Anyway just my thoughts, and all meant constructively. I can see you guys are trying. We all want you to succeed as we have a lot invested in the products. Hi Andy, as in our reply on facebook: thank you very much for your feedback! Sorry, but I’m just not buying it. This is a fundamental change of business model and can in no way be considered in the interests of existing customers. I can’t believe that any existing customers would have said they would be happy to give up or pay extra for auto geofencing (the one killer feature of Tado) in exchange for a reduced hardware price. Keeping the old app rather than giving us a free upgrade gives the game away. What is new from the HW point of view, any minor / major changes? Hi Lukas, the new hardware looks the same from the outside but comes with multiple improvements such as a new chipset for faster firmware updates. How often do you release new firmware updates and how much time does the faster hardware save per update? Hi Mike, we can’t give concrete dates on how often we release firmware updates. One of the reasons I bought Tado is that they have a great feature roadmap, for example to not have a child lock on the radiator thermostat might someone consider a bug, which is acceptable if solved in the near future. My one year old child can actually start the central heating system from his bedroom, which actually can be dangerous. I really really hope Tado will make these kind of safety features still available on the current apps and not force me (after my +/- 700 euro investment) to take a subscription. Actually the price point from Tado for me doesn’t really allow another subscription model. For the same reason I accept the (rather high) prices from Nest, they come with basic, but enough functionality without subscription. Can you elaborate on “introduction of selected additional features”? Can you disclose the roadmap (or which part from the roadmap is included). Next to this, you use “for the lifetime of the thermostats”, is this your economic lifetime, or the actual lifetime of the thermostats? Hi Tom, thanks for your feedback – we cannot disclose the roadmap at the moment but we are always working on further improvements at tado°. I find it frustrating to see a new product that’s effectively reduces the value of my current Tado setup; Seriously how much incentive does this model give you to improve the current software? Also, Fix the poor battery life! – or at least fix the voltage measurement so ordinary rechargeable batteries can be used. It feels pretty hypocritical to see the Tado boost about the CO2 reduction and at the same time know the amount of batteries used to keep it running. Hi Esben, thank you for your feedback – over the course of the next few months, we will automatically update your devices with newer firmware versions that will include further optimizations to incrementally increase battery life. So V3 includes automatic geofencing but for V3+ you’re going to charge a subscription of £29.99 / year for it? Not much of a plus feature! I think the standard V3+ behaviour of sending a push notification to someone when they leave the house so they can then manually set away mode is pretty pointless to be honest. Such a shame, I think you need to get back in the meeting room and have a re-think, you’re about to loose your USP and become just an internet controlled timer, of which there are cheaper versions of those available. Hi Dave, thanks for your feedback. To enable existing customers to keep using automatic geofencing without subscription, you can use the current app which will be maintained and improved. I admit to being very disappointed by Tado’s approach. I think it’s quite obvious that, despite saying the V3 app will continue to be developed, that the real focus will be on the V3+ app. As an example, I use the fact that boiler reporting (something that’s been on the roadmap for some time) is already a function of V3+, whereas it’s absent from V3. For me the main attraction of the new app is the overall design, the current V3 app is clunky to use on larger systems, something that I’ve discussed with support previously – interestingly I was advised that a new UI was on the way, I wasn’t however told it would be chargeable. It now appears that to get the improved UI, I in effect need to pay for functions that I currently get for free – I’d say it’s an interesting marketing approach, one that won’t however engender customer loyalty. There is a current app developer trend to move to subscription based models, I do understand the reasons, but in every other instance that this has happened (prior to the Tado V3+) I was automatically moved to a FOC life time subscription – I understand it’s called grandfathering. The approach taken by the other developers seems a fair compromise : that is to support existing clients, whilst charging new clients – ultimately they have the choice. I’m getting a distinct feeling that Tado is moving towards a model of chargeable add on products (not always good value), rather than focus on well designed hardware. As an example, I use the recently announced boiler service offering. It’s actually cheaper to purchase the service from Tado’s chosen partner directly, than via Tado themselves. Although I’m reasonably happy with my own Tado system, bar the ridiculous battery life and bizarre reporting. My thermostat valves are still working, despite being advised the batteries were flat about 6 months ago. I won’t however be recommending Tado to friends and family as I’m quite uncomfortable with the approach being taken – this is unfortunate as I was about to install the system for two family members. Hi Jonathan, of course we don’t like that you’re not happy with tado° at the moment but thank you for your open feedback! I would like to share some background information about my tado experience and provide clarity as a member of your community. I was an early adopter of your original connector kit, a subsequent upgrader to the V3 thermostat and radiator thermostats at launch as well as beta tester for your Android app. I am the definition of an early and loyal customer and been a promoter of yours for years until now. With the V3+ app that’s no longer true for pre V3+ customers. It’s been confirmed elsewhere there will be no Air Comfort or Boiler Health for the “old” app so it’s not incorporating the latest developments. I completely get what you’re doing with the new “freemium” app, it looks great, skills are interesting and the new business model makes sense. However in all those customer surveys and interviews it’s not clear what, if any, questions or feedback was gathered on the main issue. A one off upgrade/ongoing subscription for existing customers to maintain both an up to date app and features they had already paid for is unacceptable to many including myself. An alternative would have been the “V3+” upgrade for all (I don’t know why you’d want to increase your development and support costs with two versions of the same application) Then existing customers get the skills+auto-assist to only mirror the “old” app functions. You can then offer additional skills, Boiler Health & Air Comfort etc. as add-ons. That won’t please everyone either but it would demonstrate a pragmatic approach and genuinely keep customers close to your hearts. Perhaps all this negative feedback came as a surprise, and I appreciate the effort in the defence you are making. Remember though that trust is a fragile thing – hard to earn, easy to lose. Luckily this is an easy decision to change and I can only hope you will in light of what you’ve learnt. Hi JPWTCK, thanks a lot for your feedback and the detailed explanation on your thoughts! Hi Marian, as an existing customer, you will be able to use the v3 app without any additional costs. Everything about Tado that I liked and boasted about is being eroded. Bad, no, dreadful customer support from good, poor communication from decent and now extortion from savings. This smacks of forsaking customers to satisfy short term management goals for backers. Whatever the case, I’m publicly anti Tado when I used to champion it and would never recommend it to anyone. I had to wait 8 months for a simple reply to a simple question as an existing customer and the response was lacking any sense of customer care. Hi David, we’re sorry to hear that you’re not happy with tado°. Let us just ensure you, that we take you – and everyone else’s feedback very serious and that it is very important to us. I am a Tado v2 customer, I am very satisfied with the app and the thermostat but I am deeply concerned by this announcement, can you confirm if you upgrade and you are not happy can you return to the previous version of the app? One of the main features I wanted was the automatic Geofencing. I can help but feel as though I have been coned in to buying expensive equipment, paying for installation and I would have been no better off than keeping my ‘dumb’ thermostat. My satisfaction as a Tado customer has gone from 10 to 1 overnight. Hello Richard, once you upgraded to the new app, you will not be able to return to the previous one. That is really disappointing to hear, when making an investment such as this I would have expected the company to support is customers rather than con them to get more money out of them. Terrible, awful idea. First two months of TADO using and such a disappointment. Very disappointed by this change in direction. Please rethink. Oh dear, this is going to backfire on Tado badly unless they change direction here. How can it possibly be worth the reputation damage and level of dissatisfaction amongst existing users (who, by the way, are your best – and cheapest(free) marketing channel). 1. Why would you decide to not upgrade all existing users to V3+ app and enable continued auto-assist for those users, free of charge? 2. Have you estimated what percentage of existing users you think will pay to “upgrade” to V3+ app? And what percentage of them will then subscribe to auto-assist? 3. If so, do you really think the revenue generated from small number of existing customers unwise enough to “upgrade” will outweigh the reputation damage and bad word-of-mouth this is generating? 4. What will be the additional costs to you of maintaining and supporting two different versions of the app? Why not just maintain and support one? 5. I for one, won’t be recommending Tado to anyone anymore. Also, the idea of geo-fencing relying on a push notification is just silly. It goes against the whole point of geo-fencing, but more importantly it clearly reduces the positive impact Tado can have on heating/cooling related emissions. How many times do you think users will miss the notification or not be able to respond to it because they are, for example, driving. At the moment, the Tado app notifies me that Away mode has been notified as I’m in the car driving away from home. But now you’ve decided that in order to increase revenue, you will force users, whilst driving, to open a notification and interact with the app to active Away mode. So, you’ve decided to annoy customers, make the user experience worse, reduce the potential savings on bills, reduce the potential saving on emissions, and increase the likelihood of users being involved in a car accident whilst interacting with the app. All for the sake of increasing revenue. I think you need to seriously rethink this aspect in particular! Hi Will, thank you very much for your feedback! V3 user and chose tado specifically for its Geofencing feature over the other smart options such as Nest, had this announcement have come out before i chose tado I would not have invested in the system, currently I have 2 radiator valves and 1 room stat my original plan was to add a further room stat to give better control of temperature for one of the radiator valves and 2 more radiator thermostats, now I have no confidence that Tado will stick to their promise of supporting the existing V3 app and keeping the features that made me choose tado over the competition free. I will be happy if they continue to service their current app and keep bringing out bug fixes without losing functionality or being forcing into a subscription model but only time will tell. New features not advertised at the time of purchase can be optional extras as we are not losing something we paid for. Hi Michael, as promised above, we will maintain and update the existing app. This will include the bug fixes you mentioned but also the introduction of selected additional features. I am similarly bewildered by this launch. I wholeheartedly back the comments above who have very eloquently stated why it’s a baffling move to your existing customer base. How can this stack up to people who have paid the premium for Tado and its standout features (esp Geo-fencing)? Now you’re going to stamp all over that and park us on V3 with no way to upgrade to addons we might want (boiler health) without sacrificing stock capability or paying additionally for what we already have [paid for]. This is definitely not going to end well for trust and loyalty of your existing customers. Hi Brian, thanks for your feedback! There will always be the possibility to upgrade – but also the V3 app will of course receive update which also include the introduction of selected additional features. I appreciate you cannot give firm timescales for “the introduction of selected additional features” for the V3 (i.e. not V3+) app, but it would help restore some confidence in tado• for your existing customers if you made clear what the “selected additional features” actually are. If it’s not clear to you already – and it certainly should be if you do actually pay attention to the numerous comments here, on Twitter and on Facebook – your existing customers are hugely disappointed with your change in strategy. I, like many, feel deceived by your move to make included features – principally automatic control of heating based on location – a subscription-only option going forwards. Yes, we can stick with our current setup, but your lack of any commitment to new features in the V3 app – advertised as free when many people purchased your solution* – makes people think that they’re going to be left behind unless they pay a subscription. *It looks like your strategy changed sometime between 24 August 2017 (https://web.archive.org/web/20170824080841/https://support.tado.com/hc/en-gb/articles/205505299-What-new-Features-are-planned-What-is-on-the-Development-Roadmap-) and 15 March 2018 (https://web.archive.org/web/20180315063526/https://support.tado.com/hc/en-gb/articles/205505299-What-new-Features-are-planned-What-is-on-the-Development-Roadmap-) when the text “This way you always get to enjoy the latest features of tado° at no additional cost.” was quietly removed from your website. 1) Hive turned out not to be a “smart” heating system at all, mainly because it only supports the notification-driven, location-based control you will leave with people that have tado• V3+ but don’t subscribe. That is not “smart” heating! 2) Despite HomeKit support being one of the highest-voted items in their user forum, with literally years of “we’re looking at the best way to do it” responses from their customer service reps, I simply lost confidence in their ability to deliver such basic functionality. Instead, they focussed on delivering subscription-based services that customers weren’t actually asking for. 3) Ultimately, it was clear that they didn’t value their existing customers. They even admitted that they never actually took any notice of their own customer feedback forum and said (via a Twitter reply) it was mainly for customer to swap ideas among themselves. Shocking. I would have loved to buy more of their products and stay within their ecosystem, but I just didn’t trust Hive and so didn’t have the confidence to buy any more of their products. I also have to say that the way tado• have handled this change has been absolutely terrible. There was no clear information for existing customers and the responses via social media shortly after your announcement were vague, sometimes contradictory, and occasionally condescending. Even this blog post is vague in places, which makes people think you either don’t know the full answers, or you’re hiding something; neither option inspires confidence in the tado• brand. Like many, many others it appears, I was a vocal advocate of tado• but that is no longer the case. I planned to purchase six more radiator valves from you to cover my whole home, but I’m now unlikely to do so. If you were to bring out truly new products (e.g. smart plugs with a thermostat to control heaters) I probably would have bought them without hesitation, but not now. Out of principle, I will not “upgrade” to V3+ nor pay the ongoing subscription. Instead, I now need to start looking (again) for a company that honours it’s commitments and clearly demonstrates it values the people that invest in their products. I could continue to unpick all of your replies in detail, but others have done that already (as have I already via social media), but I just know I’m going to get the same banal responses from you. You say at the top of this comments section, “We want your feedback”. Many of your replies on here and on social media say that you value our opinion and it will be fed back to the appropriate people within tado•. However, in my experience, actions speak louder than words so let’s see what tado• actually does to allay the concerns of existing customers, give us confidence that we made the right product choice, and ensure a mutually beneficial relationship long into the future. Toon, Christian, Johannes, Leo and Lars, are you really listening? I understand that you need to make money. But a subscription for features which where always (and are still) free in the old version is a bad decision. Sorry, but automatic geofenching is the tado feature to call it a smart thermostat. Without it, the phone is just a simple remote control. Who needs a thermostat with a remote control? I love my tado, but if my v2 ever stops working I will buy a new smart thermostat, but not one where I have to pay for a basic feature as geofenching. You also say “… for the lifetime of the thermostats that you purchased”, who decides when the lifetime is over? You? And about the batteries. I need new batteries every six months. It doesn’t matter which batteries I use. thanks for your feedback! Regarding your question about the batteries, we can tell you that over the course of the next few months, we will automatically update your devices with newer firmware versions that will include further optimizations to incrementally increase battery life. I hope it fixes the battery problem that I have since I bought the tado in October 2015. Software plays an ever increasing role in today’s products. While the feature set of traditional products remains the same after the initial purchase, the software for connected IoT (Internet-of-Things) products is kept up to date automatically. But now we don’t get the latest features for free anymore and have to pay additional cost if we want them. Honestly most was probably said already, but I will voice my concerns because I used to think tado was a cool company and I still want it to be (it runs heating in my still quite new apartment). What you envisioned is complicated and for regular users will be problematic. And charging for automated workflows is such a huuuge step back… you send the notification but pay us for resting the button for you? That’s ridiculous! Not even looking from perspective of a person who enjoyed tado for two years almost, but for new customers. I hate your new approach and the constant mantra that we may use old app is just lame. People who have tado are mostly technology geeks and want to have the latest greatest. I want. I’d rather switch all my devices to other manufacturer with more ethical business practices and reasonable roadmaps than pay subscription for basic advertised feature. And lastly how could you lie that this was done based on consulting with clients? Don’t you see what’s happening in all the comments? Dear Tado, I’ve only recently become a customer with a v2 thermostat. I hope you listen to the feedback on here and social media. Your existing customers are your best asset and you are alienating them. It is going to be hard to win back trust even if you completely change your strategy on the subscription model. This negativity has the potential to cause significant harm to your future success. You need to act quickly on this issue. I’d echo what people have said above as a new and somewhat happy customer I am now very concerned. I have dropped £700 on theromsatic TRVs throughout my house. £25 subscription is small change in comparison but deceiving me will not result in a simple payment but my selling the lot on eBay and starting again regardless of cost. Someone above made the suggestion to give previous customers a life time subscription for the features they assumed they paid for, I would echo this or even a 3 year would appease most people. This is the first time I have provided feedback in this way online … but feel I have to do so now. I won’t repeat all the very valid points raised above, but need to add my support to all the points raised. Whilst I understand the need to sustain your business, and the trend to adopt subscription models, you should do this by innovation and introduction of new ideas, not charging users for core ones that have been around since your product was launched. You’re also making existing users who have helped your business become what it is today, feel like second-class citizens with the now-dated application. Overall, after looking forward to ‘switching on’ Tado as the winter starts … I now feel disheartened at the thought of the cost savings being redirected back to yourselves. The comments on here clearly demonstrate you didn’t think this through properly, the question is will you be willing to admit this to what was I expect a very loyal customer base? I personally have no intention of ever paying a subscription to control my heating and hot water so when the lifetime of my current Tado thermostat expires, or when you remove existing functionality, I shall no longer be your customer. I don’t know who you consulted over these changes but you appear to have scored an own goal. Upgraded from original to v3 last year and bought a load of v2 for my brother’s place being renovated now; I’ve probably been responsible for 20 others installing tado through recommendation. No more. I bought a Tado system a month ago. To be honest one of my question marks before buying was whether Tado would survive long term; how can a company make money to support my system in 10 or 20 years time if I’ve never paid more than the upfront cost? 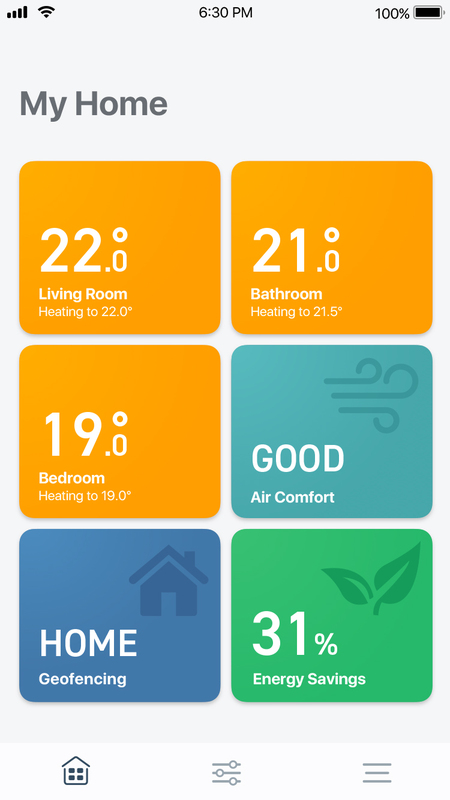 Therefore the move to some subscription features doesn’t surprise or shock me, although I think the way Tado have handled this has been appalling and has badly dented my trust in them or ability to recommend them. * If you’re going to make a major change like this you need to have communications to existing customers ready to go. To announce such a change as a product launch at IFA but then leave existing customers frantically asking questions on Twitter, where the character limit is hardly conducive to a thorough answer, was bound to cause existing customers (in part unnecessary) worry. * Your comms described geo-fencing operating via push notifications as if this is what it’s always done, which just isn’t true and has doubtless caused existing customers more confusion and concern. Furthermore I agree with others that this is _the_ feature that turns Tado from an expensive remote control for your heating into a smart thermostat. * Making new customers pay for the “upgrade” for their first year (albeit at the reduced £19.99 price) just seems mean, and I suspect guarantees a very small proportion, if any, of your existing customers will do so – somewhat undermining the point. * I share the concerns of others that maintaining two apps-within-an-app (as you can only have one version on the app stores) seems unnecessarily expensive for your development teams and unnecessarily confusing for your customers. Much better to have a single app, and skills within it – you could always have given existing customers a free subscription to a “geo-fencing” skill that meets the existing functionality. * As a new customer I’d need to really carefully look at the cost of the features compared to the overall heating cost. Even in a relatively inefficient Victorian house in the UK, heating doesn’t cost so much during the winter months; Tado needs to save a significant percentage of heating to justify £4/month. (I’ve only had it for a month of late summer so far so have no idea if it will really approach 30% savings, as we used to control our heating timer quite carefully manually I suspect not). An annual price of £20 or so would seem easier to justify. From comments on this (long overdue) article, twitter etc. it’s clear that Tado have badly damaged their brand reputation. I don’t think it’s unsalveagble, but Tado really need to learn from this and undertake to improve. I think a few tweaks would largely resolve concerns. 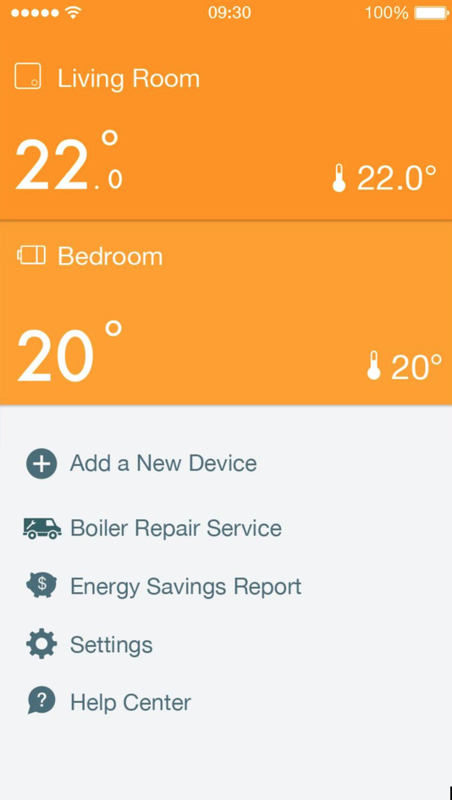 * Move to a single app with subscription options for different features as Tado see fit. However any existing customers should be auto-subscribed to features that were free when they bought their kit for free, if not “for life” then at least for a reasonable period (say 5 years). * Carefully review future communications and product launches to ensure that any “grandfathering” of existing customers is considered and carefully communicated as soon as new features/products are launched. * Review price points for subscriptions carefully to ensure they will clearly represent value for money compared to potential realistic savings. I hope Tado take this feedback on board, as I want to see them succeed long term (and don’t want to feel like I’m the product in the way Google/Nest kit makes me feel). thank you very much for your feedback! This is definitely important to us. Like others, I’m angry and perplexed by this change. I recently (one month ago) bought a Tado thermostat starter kit, extension kit, and five radiator valves. With the installation cost, it’s a pretty big investment and one that, from reading everything on your website, I expected to evolve with additional features moving forwards (as others have quoted from your website – you actually said this). I feel cheated, to be honest. Utterly horrible way to treat your customers. I’m so glad I read this article and existing customers feedback. I was literally about the push the button on a purchase of kit and installation from EON, driven by historically good reviews and a USP that beat the competition, but will hold out on making a purchase and look elsewhere. You’ve just lost a new customer before my experience already started, which is a real shame. Guys Firstly, what a great product and eco-system I felt i bought into. I have already purchased and installed the V3 smart thermostat, and up until now i could not have been more pleased, in-fact it surpassed all expectations of performance, functionality and use operation. I am about the spend £1100 on TRVs, this announcement is making me reconsider my product selection. My fear now is that the features I purchased Tado for will be removed or become chargeable. I am even more fearful reading that tado is not sharing a road map, because early on it was shared. none of the features will be taken away and as an existing customer you will be able to continue using the current app. If I already had an V3 bridge and a couple thermostats, would it be enough to get a new V3+ bridge to get the app update for free? Any other benefits I can expect from the new hardware? Is it only the bridge that got new chipsets or will I also need new thermostats? Agree, I also feel cheated. The scheduled further roll-out of tado in our home is now cancelled. Since Tado has now proven they are not reliable as they changed their business model killing their USP on the go. Hardware-wise, is it only the thermostats that have changed or is it as well the bridge that was updated. What are the benefits of the upgraded hardware if everything basically works with v3? I am asking because I am thinking about buying new thermostats. I forgot to ask. 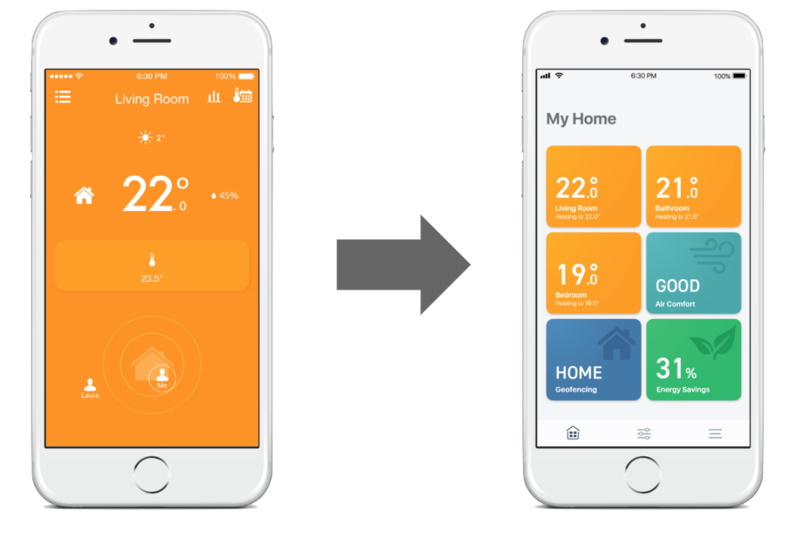 Does the app automatically update to the v3+ version if I add a new thermostat or if I exchange my bridge? the app does not automatically update to the V3+ version, you would have to intentionally upgrade the app to V3+. Tado seem to have gone very quiet on this. Apart from telling us that the battery life will be incrementally improved and that the V3 app will be maintained, thats it. No apology for the appalling way existing customers have been treated and no real explanation of their thinking. As previously said by others, the communication and details regarding this change has been poor, maybe deliberately so, as they knew existing customers would take this badly. Maybe an email from the board members to each and every existing customer accepting that they have made a mistake and making some sort of peace offering is required. I was just about to purchase additional hardware for my house, but as it stands currently, I am not sure if I wish to invest more of my money in a company that has no consideration for it’s existing customers. I don’t want to be stuck on old software! 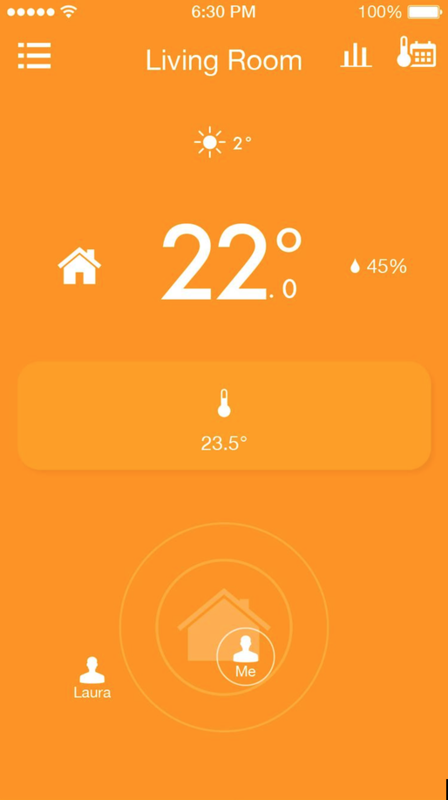 Early this summer I invested in Tado, believing that I was going to save money. Geofencing in combination with zonal heating was the killer decision maker. Now with V3+ I feel cheated and let down. True – I can choose to feel like a looser with a sub-optimal app for free. That means every time I look at a thermostat or the old app I am thinking “tado – sub optimal”. Look guys. I chose you by putting my reputation on the line with my wife and family. YOU HAVE LET ME DOWN. No recommendation from me until you fix this terrible solution. Get your act in gear Tado. Like most of the people commenting, I am getting worried about the fact that features that were sold with the product are going to become a subscription if we want to keep up to date with the app. I have invested a lot of money into getting a tado system in my house and I feel like it might not pay our in the long term. What is the lifetime of your devices? 2, 5, 10 years? How long are the thermostats and TRV going to be supported? Oh wow what a corporate own goal! I was just about to expand my fleet.of radstats, but alas not now. As an existing customer I can only but echo some of the sentiments above, particularly the one where someone mentioned keeping everyone on the same app and just giving the automated geofencing (a core Tado offering) to existing customers and a subscription for some other bonus features. I realise new customers do not have a voice here (indeed they are none the wiser) but most of us have purchased your product/products based either on advice from close relations based on their experiences or through research on the net through recommendations and reviews from others. Take me as another example…. I was looking to buy a thermostat as a gift for a relative for Christmas. Unfortunately as it stands this will no longer happen since I cannot relate to the new app and how it operates with this new business model. It would just be to much bother for me since I would be the one that has to set it all up and explain that if they want the same core feature as I have, they have to pay more. I dont think people here are upset in regards to a subscription (fairly common these days) but rather the fact of not being inline software wise with newcomers to the Tado community and there for feeling alienated/uncomfortable and unstable towards Tado’s progression which appears to be (for the moment at least) a bit unclear. Kind regards and best wishes for the future from a currently very satisfied customer. Can i still buy the v3 and how many years will it continue to work for if i do? There is no way I’m paying a subscription as that way i lose anything i would have saved on heading bills. I’m glad i didn’t purchase the v3+ earlier today. you can still buy V3 thermostats, for example on Amazon. Honestly, I was so excited when I saw there was a new version of the Tado (V3+), because I’ve been looking into buying a Tado and radiator thermostats for a couple of months now. My excitement quickly turned into a mix of disbelief and disappointment when realising what was happening. Your devices eat a subscription worth in batteries and now you are adding a subscription for a functionality I thought I had bought in the first place? As for the remaining 8 radiators in the house, that we were to install radiator thermostats on this authumn…. sorry that’s now been cancelled. I cannot imagine a better way to sink your own vessel tado. It won’t be long before the tech review magazines pick up on this. Has anyone considered a petition or sent this to one of the big tech media outlets? Let the competitors no, they may provide a ‘jump ship’ offer for disgruntled and upset users! Management should hang their heads in shame, and the marketing department should be fired. I agree with everyone else’s comments. I bought the thermostat earlier this year and have been saving to buy the 6 TRV’s i need this autumn (£420). I think given this announcement i will uninstall the tado thermostat sell it and go back to a dum thermostat. I have lost confidence in tado as a company and don’t trust what will happen down the road. My brother was about to purchase as well on my recommendation, but have just called him to warm him to not go down the tado path. This is such a shame and i feel let down by what i thought was a good reputable company to invest in. I feel a bit of a mug to be honest. At least i hadn’t spent the money on the tvrs. I imagine tado will suffer due to this and possibly fail to survive into the long term as reading the comments above it seems they have already lost lots of revenue from direct sales and exponential sales from recommendations. I don’t know who did there market research and business plan but it seems they have made a big mistake. Oh dear. The subscription model for smart home devices and apps is already getting overcrowded, you would need to be very rich indeed to afford the growing demands for monthly subscription fees, on top of the cost of the various devices. I am not sure whether this experiment will work, for a device whose main USP was to reduce, rather than increase, monthly bills. Luckily I hadn’t fitted my V3 thermostats yet, so they are going to be returned for a refund. Even if the legacy V3 app is maintained, I can’t see why Tado would put any serious resources into keeping it up to date – I expect eventually after some future iOS or Android update, it will quietly stop working. Are you guys at TADO being selective about which Customer’s comments on here you will deem worthy of a response. Why are you guys at TADO not standing behind that promise to your Customers? This doesn’t sound like a positive change for existing users at all. As it is, I see no incentive to upgrade. a) charge for the upgrade (and a subscription for newer features), but offer geofencing for free to existing customers. b) allow customers to downgrade if they’re not happy with the upgrade (with money back). This would make me at least give you a chance with the upgrade. Moreover, as a customer of the oft-neglected tado° AC (just added a 4th unit), I’d like to understand the implications for that product. I was literally about to purchase the full tado setup today including 12 radiator thermostats before I got the email about the V3+ changes. I’m afraid this has completely undermined my confidence in your approach to business (how can I be sure there won’t be other unexpected “rent-seeking” developments in future?) so I’ll now be looking elsewhere. A shame! Came as a hopeful, new customer looking to fit out a newly purchased 5 bed home with the tado° starter kit, extension & full trv fit-out (~£989.88). Leaving feeling sorry for existing customers, suspicious, ruminating over the ROV of a forked UX / product experience and to re-address my purchase. It’s not clear about new customers. Do we need to purchase an annual subscription if we buy the new 200€ v3+ thermostat? if you add one V3+ device to your existing V3 devices, you can continue using the current app. I’m a bit loathe to join this ‘discussion’ as it’s already a fete accompli as far as Tado are concerned. Valid questions go unanswered and concerns ignored. We are just the cash cow to feed the coffers. But just a couple of points. Tado talk about customer feedback was a driver in this. I’m just curious about how many current or future customers said they would be happy to pay a monthly fee for their heating controls? Probably as statistically near to zero as makes no difference. Secondly Tado promises to continue development of the v3 app. Well wait a minute, you just announced a 3+ appthat does more and does it better!! So this ‘promise’ already rings hollow. Nothing annoys loyal early adopters more than being treated like fools. The TRVs where already overpriced so filing a whole house (in my case 13 rads) was a tall order. I will stop at 2. When companies do things like this you stop being advocates for them. I won’t be be buying any more kit and I won’t recommend it to others. I thought I was the only crazy person that din’t understand or agree the change done by Tado with the new app logic. I see that I am not. I’m really disappointed and unhappy to see an app update that I was waiting for long (temperature control in the old app is horrible), that is only for new devices or paid upgrade, with some features becoming paid when they were free. It’s confusing and shady. Expect my (rented) Tado return soon and farewell. By the way, I only expected to have an improved temperature control in the new app, which seems to have been implemented on the new app. I get it – you need to make money – i fully understand. We need smart products though – that’s why i invested in Tado in the first place.. But listen – your product isn’t that smart anymore – who on earth want’s to buy a product where they have to pay the money they save on heating back to you, if they want the their smart thermostats to actually be smart!? Built-in geo-fencing was the biggest reason why i – and i suspect many others – bought your product. I personally suspect that a lot of us existing customers wouldn’t dream of paying for geo-fencing in the new app. So what i don’t understand is who or what convinced you, that making your product less attractive would earn you more money? As a prospective buyer, with a full tado system with valves sitting in my Amazon basket intended to be installed in my new house, this announcement has set off major alarm bells for me. Unfortunately I will not be buying your product due to this decision. The idea of continuously paying to continuously possibly save money seems fairly absurd. How can there possibly be any return on investment with this system if the investment never ends. This decision is more of a shame than anything else. The tado feature set outstrips it’s competition, in my opinion anyways, being one of the first to properly implement individual room control. I appreciate the need to make money, however this decision seems to have no positives for customers and will undoubtedly sway others away from your product. Just to say that I was eager to buy today a V3+ with 12 heads, mostly due to the multi-zone and Homekit support. But the introduction of the subscription for a nowadays rather basic functionality like the geofencing, that was already part of a previous release, has put me completely off. This dramatic change of business model without any little shown empathism with specially existing customers, certainly damages very significally the trusthworthyness on Tado, specially for such investements that should go a long way. I think that automatication with for example Scripting in IOS12 will fortunately put at the hands of the users a higher added value personalized automatization that customers in this customer segment are actually looking for. as soon as you add the V3+ bridge, you would automatically get the V3 app. If you use any of the other bridges, you get the current app and can choose whether you want to update. I am just stunned by this. 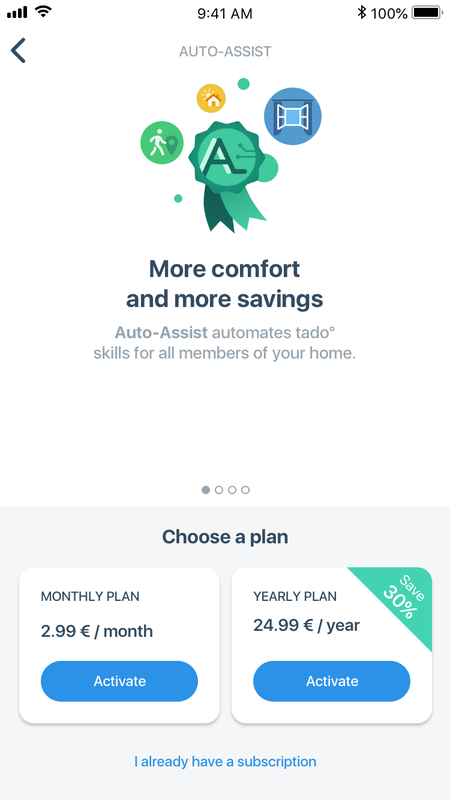 I understand that as a V2 user I have access to the legacy app, but I wouldn’t have initially chosen tado over the competition if I had to subscribe to get functionality and I suspect lots of potential customers are the same. The danger to existing customers is not that we will be forced onto the new app but that tado as a company becomes untenable and ceases to exist. We will all be high and dry. 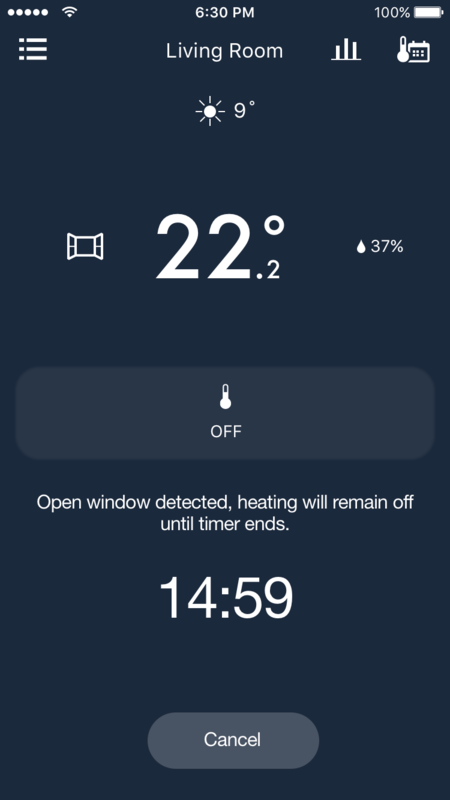 Finally to echo what has been said by others I championed tado, I liked the geofencing and the optimisation, I was looking forward to an ecosystem of smart kit and was slowly looking to increase radiator valves and cover the entire house. I could not in all conscience recommend tado now. I believe the best way to increase revenue is to offer must have hardware that gets customers coming back for more. Is this tado’s Brexit moment! Wel, i just bought a Tado and i want the old version, so i can get the same benfits as excisting customers, and upgrade for a one time fee. Why do I have to pay a monthly fee for functions that used to be in the app? It’s ridiculous. No way i’ll ever advice someone else to buy Tado again. And i’m pretty sure I won’t save enough energy upcoming year, due to the lack of auto-assist, so I’ll return the product for a refund just before the end of the first year. I have been toying with buying Tado for a number of months now, and when I did my research geolocation was automatic. I have just received and now installed, but find that between original research and actual purchase the system has upgraded to V3+ and I find to my extreme annoyance that I now have to pay an ongoing subscription for the thing that made me choose the already more expensive Tado in the first place. I will be exercising my consumer rights, and return the product. You’ve just lost your USP! By all means, have boiler maintenance as a subscription, but why you choose to make your USP an optional extra is beyond belief. Much of the above chat is regarding existing customers, but you’re also losing new customers. 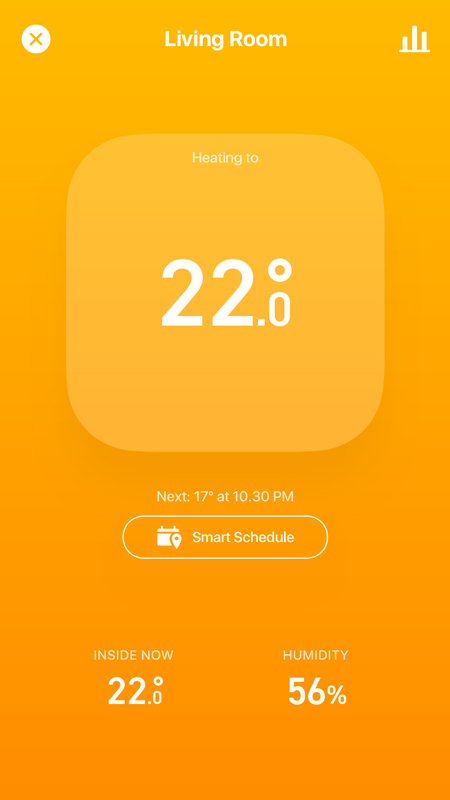 I spent a lot of time researching smart thermostats, and the main reason for selecting Tado was the geolocation and in particular the weather adaptation. But between research (v3) and purchase (v3+), I now have to subscribe to these features!! Partly my fault, but I certainly didn’t see such a significant change in approach coming. What a con. Fair enough offering subscription for the bells & whistles (e.g. boiler maintenance) but for your USP. Unbelievable. It’s going to have to go back in the box. I just bought a Tado V3+. With the limited information available on the Tado website I sincerely believed that geofencing, open window detection etc. where standard features. After being alerted by a befriended Tado user (who is also very pissed off about the way you are handling things) that these features are now features you will have to pay for, I started investigating further. The sheer amount of negative comments is staggering! And you (Tado) are taking no action, you stubbornly keep defending your position. This is a clear signal for me that your company has taken a wrong turn and that investing in your product is not smart in the long term, you will not survive this idiotic behavior. If the company goes down, so will the app and all the features it offers, rendering my products useless! I’m returning my Tado V3+ while I still can to get my money back and start investigating other options. I bought a V3. It has performed incredibly well. Has been incredibly stable. The differentiation and sales pitch for Tado over Nest was geofencing rather than learning pattern of life. Live geofencing is a killer sales feature. A decision point for making sales. Indeed I have in past, but probably not now, recommended Tado to people -because- of this killer feature. Without automatic geofencing, this is not a smart thermostat, it’s just another thermostat with remote manual access. And an expensive one at that. Manual access is no use when driving/riding/cycling home from work. I think it -could- be fair to charge for -some- additional future features. But at the very least, from a basic business perspective, there has to be something that makes Tado stand out from the crowd. Geofencing is that. Charging for geofencing is a bad idea. I won’t upgrade and will no longer recommend Tado. Sad times. A friend bought the V3 and recommended Tado. After buying the V3+ which I thought would be an upgrade it turned out to be a downgrade. I’ve returned the Tado within the first week. My friend with the V3 was planning on upgrading with smart thermostats but will not be doing this because he believes at 1 point Tado will start pushing subscriptions to old customers as well. Tado, you have lost the faith of old and new customers.